Creating a remodeling wish list is one thing; prioritizing the order of projects is another. After considering your unique needs and budget, focus on the right improvements to prep your home for the colder months. As your home’s first layer of defense against snow, replacing your roof should be your chief priority. Of course, a professional inspection is paramount to decide whether a replacement is necessary. In many cases, repairs suffice. Nevertheless, new roofing in Detroit makes more financial sense to solve major problems. As a certified roofing contractor, Kroll Construction can provide you with a roofing system that will look great and last longer. New siding panels are not just a secret to better curb appeal, but also key players to home weatherization. If your siding system has several forms of wear, from warps to dents, these causes for concern would set the stage for air and water infiltration. This means when snow or rain comes, the elements may go inside, cause damage to your home, and affect your level of comfort. Compared with other solutions, installing a new vinyl system can significantly improve your home’s efficient and weather resistance. Additionally, it’s easy to maintain with no staining or painting necessary. Kroll Construction can provide you with the right vinyl siding for your home. Our products come in a range of different colors and patterns. Investing in insulation is the best way to boost your home’s energy performance. Most experienced siding and roofing contractors in Detroit would agree that investing in proper wall and attic insulation would dramatically lower your energy bills. Without filling your wall and attic spaces with blow-in insulation, your home couldn’t trap most of your home’s indoor heat or conditioned air. Perhaps the least disruptive of all home improvements, upgrading your windows is the quickest way to weatherproof your home. This is especially if you have old, drafty, and unsightly fixtures. In addition, a vinyl window replacement is probably the only improvement that can update your home design from inside out. Installing your custom-built windows can last just one day. We can improve the look and efficiency of your home in no time. 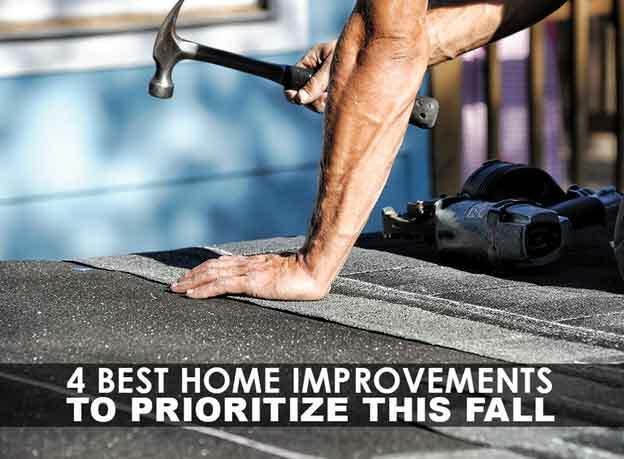 Let us help you decide on the best remodeling project to prioritize this fall. Call Kroll Construction now at (888) 338-6340 and let’s schedule your free in-home consultation or inspection.